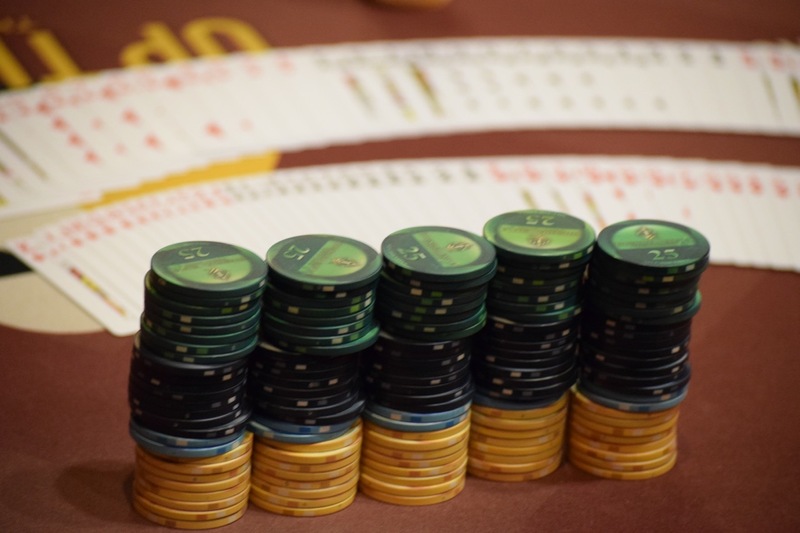 Registration has closed on the first of five starting flights in @WSOP Circuit @Thunder_Valley Event 1 - $365 with a $300,000 Guarantee - and the board shows 192 entries. Day 1B starts at 4pm - 10,000 stacks and 30-minute levels for all of Day 1 plus three levels in to Sunday's Day 2 - with registration and a single re-entry per player, per flight available until ScottTheTD kicks off Level 9 at about 8:30pm. Day 1A continues for 15 full levels, the Bag-N-Tag scheduled for about 7:15pm.